Keeping our bodies fuelled during long training sessions or on race day can be difficult. Whilst the majority of Spartan’s diets should be made up of whole foods, supplementation can help take your training to the next level and to push your PB race time down! Luckily for us Spartans, our official nutrition sponsor True Protein has us covered. With a range of products specially designed for pre, intra and post-workout, there’s something for everyone. Spartan racing is one of the most demanding forms of racing available. The unique combination of strength, speed and endurance demands a well-rounded skill set, and that means lots of training! Whilst training these attributes, our bodies are constantly under stress and subsequently need the assistance of nutrition and supplementation to stay functioning efficiently. Ever felt not up for it before training or a race? We all have. Yet sometimes you just need to get in and get it done. Whether you’re mentally prepared or not, you need to ensure your body has the fuel to burn. Enter True Pre. True Pre is an advanced 11 ingredient amino acid based blend, designed to optimise a wide range of functions when you train. True Pre comes with and without caffeine meaning it’s suitable to be taken pre-race or pre-training both night and day. Designed to keep the body performing over lengthy events or training sessions, True Endurance Fuel is perfect for any athlete looking to power past the pain barrier. With high GI carbs for energy and an electrolyte replenishing advanced mineral blend, True Endurance optimises endurance performance. Perfect for beast and sprint racers looking to give their body a little extra fuel throughout the race. To learn more about how to fuel your body for endurance, click here. True WPI90 is low in carbs and fats making it the cleanest protein you can consume. Having a WPI90 shake post-workout or after a race will kick-start the recovery process, assist muscle growth, and help reduce muscle soreness. By providing your body with protein within 30 minutes following a session will help it recover faster. If you’re new to supplements, WPI90 should be your starting point. Have a read of True Protein’s complete guide to whey protein, to help understand how it works to help our bodies recover. 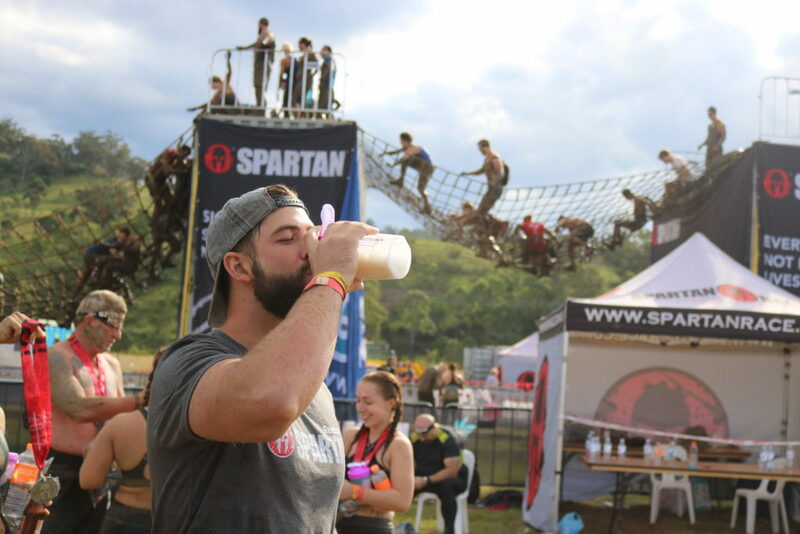 For more information on how supplements can assist obstacle race performance and training, check out True Protein’s dedicated resource on nutrition and supplements tailored for obstacle course racing.